Is Caffeine Good for My Workouts? Apart from the fact that coffee—joe, caffeine, java, mud, etc.—is obviously a popular drink, tastes good, and seems to contribute to a feeling of well-being and energy for many people, the health and performance benefits of coffee drinking may be due to the stimulant caffeine and other naturally occurring plant constituents. Caffeine is one of the sports performance supplements recognized as safe and effective at the recommended doses. Caffeine is not banned or listed by the World Anti-Doping Agency for sport. 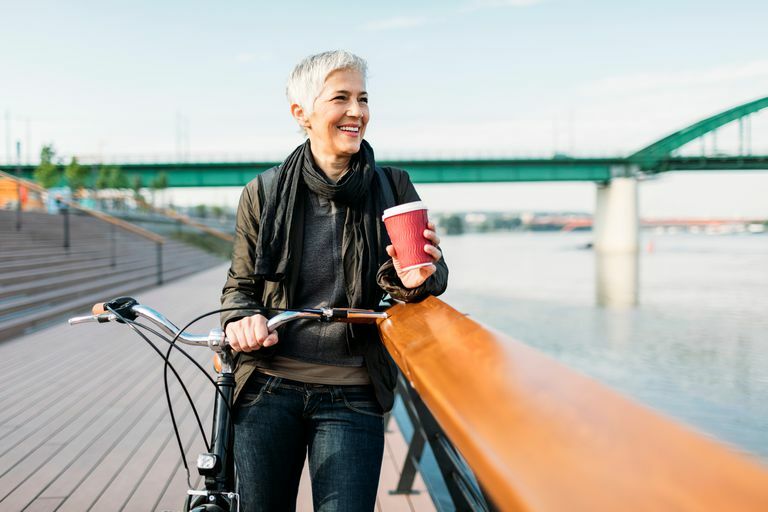 The reasons caffeine helps is not altogether clear, but it may have to do with delaying neural/brain fatigue—that is, you don't feel fatigue or pain as early as you would without the caffeine dose. Also, caffeine may provide direct muscle performance effects. The early theory that caffeine enhances fat burning seems to have been discounted as a performance mechanism in athletes. Caffeine does seem to boost performance in the longer endurance events like marathons and triathlons but has limited benefit in competition in power sports like sprints, or even bodybuilding and ​weightlifting. However, caffeine may still provide benefit for athletes in these power sports by allowing them to train harder. Caffeine's ability to reduce the "rate of perceived exertion" (RPE) associated with pain and discomfort is likely to enhance high-volume training ability. In addition, coffee/caffeine may give some trainers and competitors a feeling of well-being and power—after all, it is an effective brain and adrenal stimulant, although an effect may be more psychological than physiological, and the line between the two can be blurred. Most of these benefits have surfaced in prospective human studies and cannot be regarded as certain because of factors that may not have been accounted for in this type of study. The role of caffeine and coffee in heart disease remains somewhat controversial but less so than in earlier decades, with moderate to high consumption showing no increased risk of heart disease in prospective studies of large populations. Green JM, Wickwire PJ, McLester JR, et al. Effects of caffeine on repetitions to failure and ratings of perceived exertion during resistance training. Int J Sports Physiol Perform. 2007; Sep;2(3):250-9. Higdon JV, Frei B. Coffee and health: a review of recent human research. Crit Rev Food Sci Nutr. 2006;46(2):101-23. Lopez-Garcia E, van Dam RM, Willett WC, et al. Coffee consumption and coronary heart disease in men and women: a prospective cohort study. Circulation. 2006; 2;113(17):2045-53. Woolf K, Bidwell WK, Carlson AG. The effect of caffeine as an ergogenic aid in anaerobic exercise. Int J Sport Nutr Exerc Metab. 2008;18(4):412-29. Exactly How Much Caffeine Is in Your Cup of Coffee? The Difference Between Good and Bad Carbs? Do Pre-Workout Supplements Improve Your Strength and Performance? Side Effects of Too Much Caffeine—Are You Overdoing It?